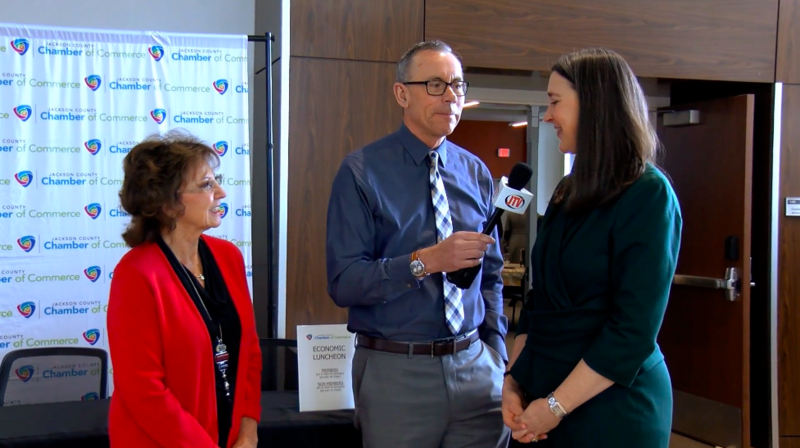 Patti Poppe was interviewed Friday by JTV-TV in Jackson for winning the Athena Award from the Jackson County Chamber of Commerce. The annual award is given to those who thrive in their field, devote time to the community and forge paths of leadership for women to follow. Learn more about the Athena Leadership Award here.